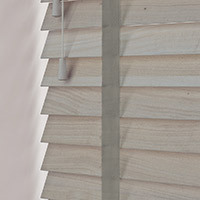 A selection of faux wood blinds, which have been expertly crafted from high quality PVC; this range is both stylish and practical and is perfect for areas of high moisture such as kitchens or bathrooms. 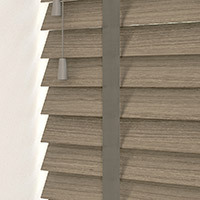 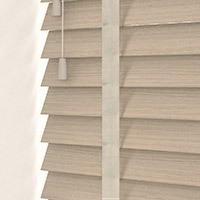 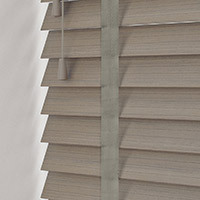 Available in both 35mm and 50mm slats and in a wide range of contemporary colours and textures. All the same quality as the faux blinds with strings but with the added benefit of a choice of coordinating tapes. 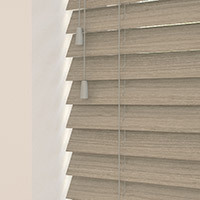 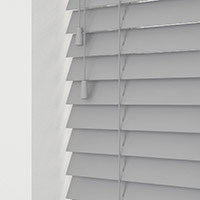 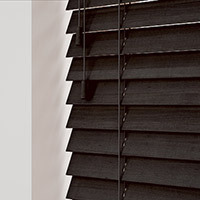 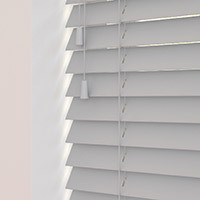 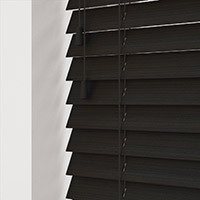 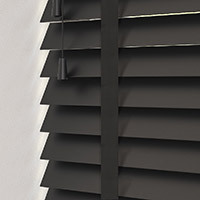 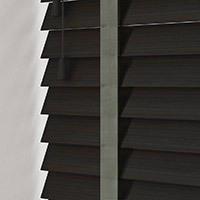 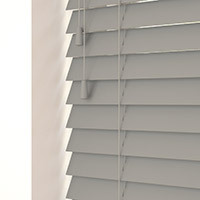 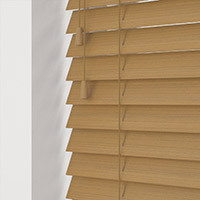 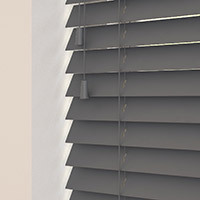 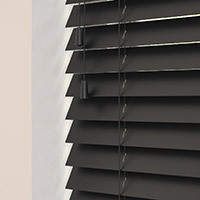 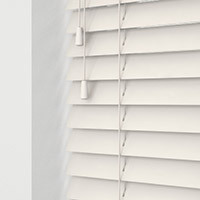 A selection of textured faux wood blinds, which have been expertly crafted from high quality PVC; this range is both stylish and practical and is perfect for areas of high moisture such as kitchens or bathrooms. 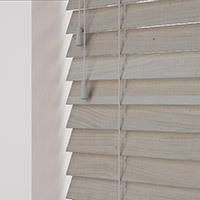 Available in both 35mm and 50mm slats and in a wide range of contemporary colours and textures. 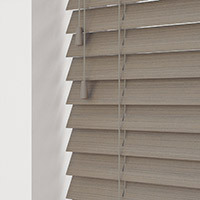 All the same quality as the textured faux blinds with strings but with the added benefit of a choice of coordinating tapes. 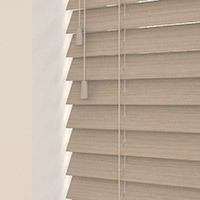 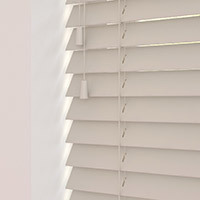 A premium collection of basswood venetian blinds offered in an range of natural painted colours, from whites, creams and greys to the more traditional wood shades . 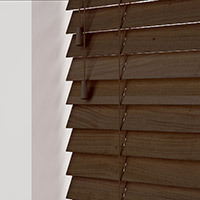 Available in both 35mm & 50mm slat width. All the same quality as of basswood blinds with strings but with the added benefit of a choice of coordinating tapes. 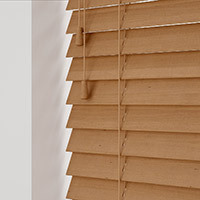 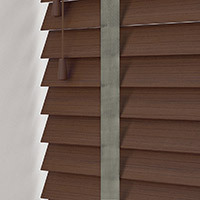 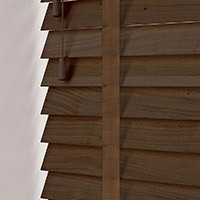 This luxurious yet durable range of high quality wood blinds will enhance any interior. 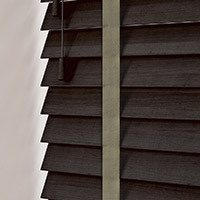 This collection is available in a wide range of a painted matt or gloss wood stained finishes. Available in both 35mm & 50mm slat widths and either with strings or a choice of coordinating tapes. 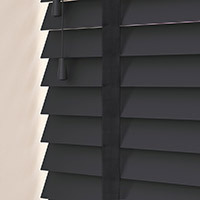 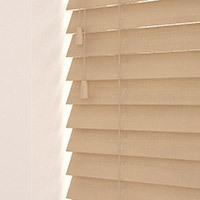 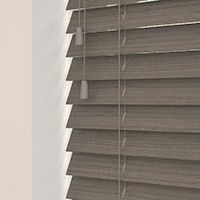 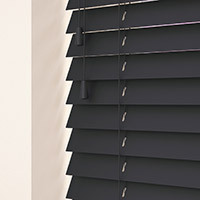 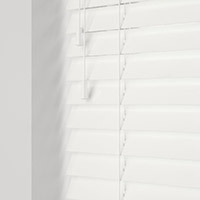 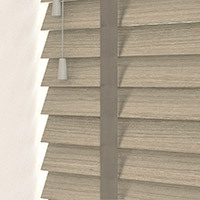 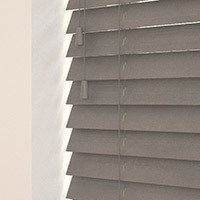 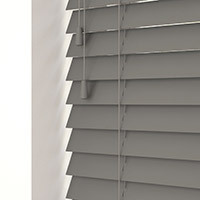 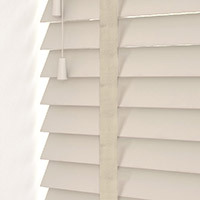 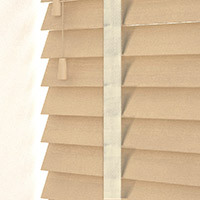 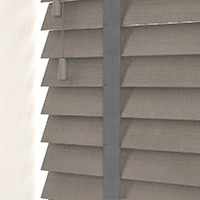 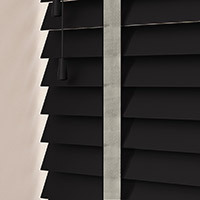 All the same luxurious quality as our blinds with strings but with the added benefit of a choice of coordinating tapes.